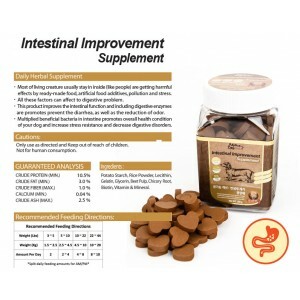 Digestive Care Supplements for Dogs & Cats. Digestive Supplement for dogs and cats to help aid in overall digestive functions and regulate proper bowel movements. 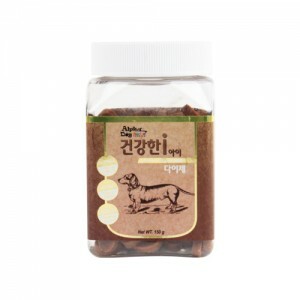 Great for pets with sensitive stomachs and excessive flatulence. Contains essential enzymes to help break down food for optimal utilization of nutrients. Added Probiotics to aid in digestion and modulate the immune system. Probiotics product short chain fatty acids (SCFAs), which inhibit the growth and activity of harmful bacteria that can cause diarrhea and digestive problems. 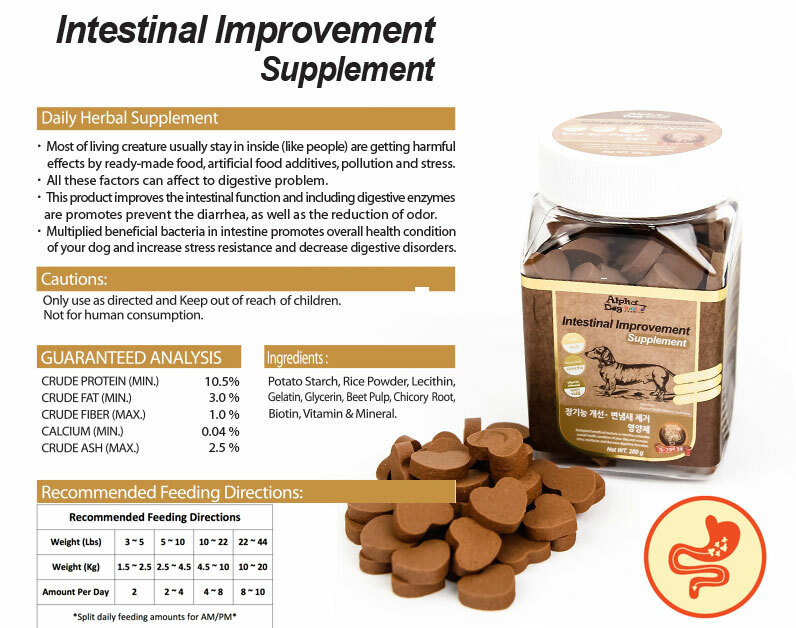 A daily probiotic supplement may also provide some other benefits for dogs such as better skin and coat appearance, a reduction in gas, improved breath, a reduction of allergy symptoms, a reduction in yeast related disorders and improved bowel functions. 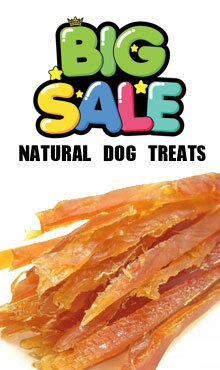 Great for dogs of all breeds and life stages! • Provides Probiotics and essential enzymes to help break down food for optimal utilization of nutrients. 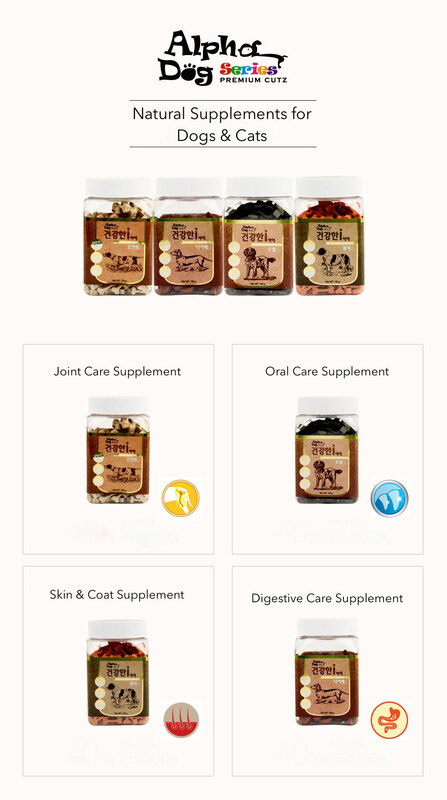 • Digestive Supplements to help aid in overall digestive functions and regulate proper bowel movements. 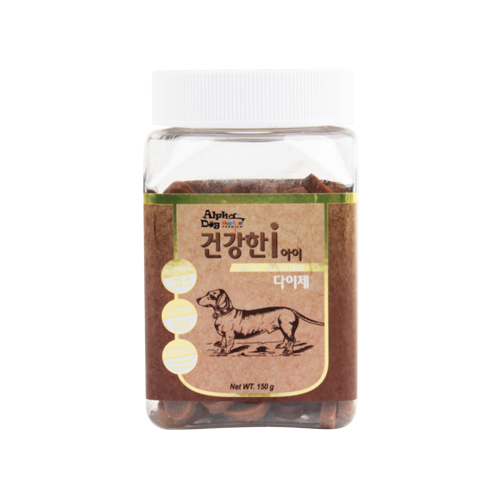 • Great for pets with sensitive stomachs and excessive flatulence. 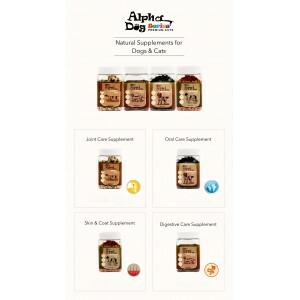 • Added Probiotics to inhibit the growth and activity of harmful bacteria that causes diarrhea and digestive problems. • A daily Probiotic supplement may also provide some other benefits for dogs such as better skin and coat, a reduction in gas, improved breath, a reduction in allergy symptoms, reduction in yeast related disorders, and improved digestive functions.